1960’s San Francisco band Moby Grape were the epitome of a perfect democracy–or perhaps a hippie commune. Every member sang. Every member contributed material. And that material was more diverse than their pigeonholing as a psychedelic band would suggest. Their catalogue shows off a variety of influences: blues, folk, country and straight-ahead three-guitar rock, often ornamented by four-part harmonies. 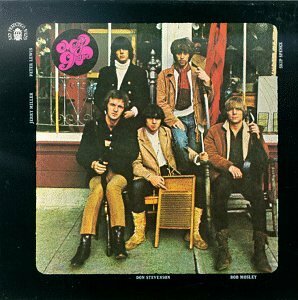 “8:05”, from their much-hyped 1967 debut, shows their acoustic country rock side. The band were short-lived due to personal issues and poor management. Like the innocence of hippie 60’s San Francisco, they basically washed out by the end of the decade; their chapter in rock history is perhaps a perfect microcosm of the story of the summer/bummer of love.